The Village of Baytowne Wharf, in the heart of Sandestin Golf and Beach Resort, is undergoing a refresh in time for the summer season. The village, a 28-acre pedestrian village with events, shopping, dining, festivals, concerts, parades, shows and nightlife, is split by two different owners. In 2010, local developer Tom Becnel of Sandestin Real Estate bought Sandestin Golf and Beach Resort from Canadian-based Intrawest. This purchase included only a portion of the Village, from the zip line and water tower to the playground. The remainder of the Village of Baytowne Wharf, including the storefronts along the entrance, from Marlin Grill and Rum Runners to Hammerheads and Roberto’s, was owned by CNL, until it sold in late 2016 to Imperium Blue. 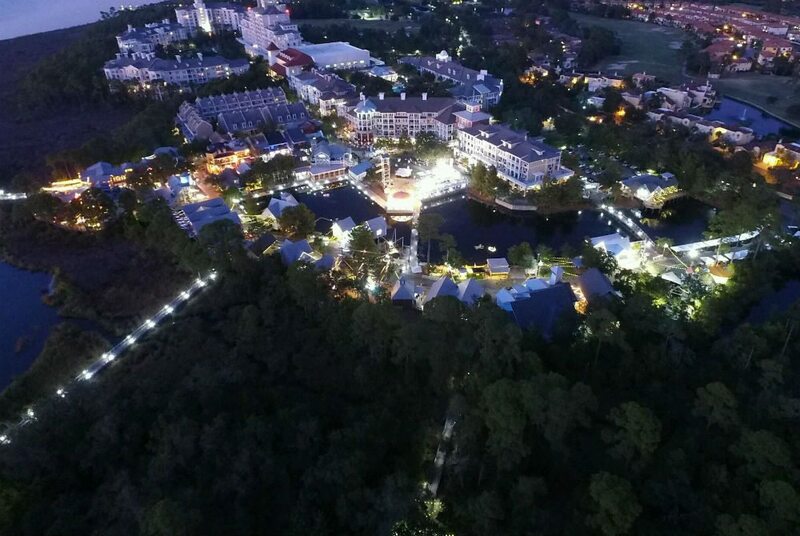 Knowing the village is the social hub of the resort, Becnel’s company, Sandestin Real Estate, and new owners Imperium Blue are committed to working together to refresh and revitalize the guest experience. “We want to make sure that our visions for a vibrant and successful Village align and that we continue the tradition of creating memorable moments for all of our guests and residents”, said Kitty Whitney, broker and director of SRE. “We look forward to working closely with the new owners,” Whitney said. With that commitment comes some new business and exciting developments. Chef Jim Shirley’s melted sandwich concept is getting an upgrade when it moves into the old Graffiti’s Funky Blues Shack location at Baytowne Wharf. The Village is excited to announce that early summer 2017 The Baytowne Melt will be rebranding to Baytowne Provisions and moving into the location formerly occupied by Graffiti’s Funky Blues Shack. 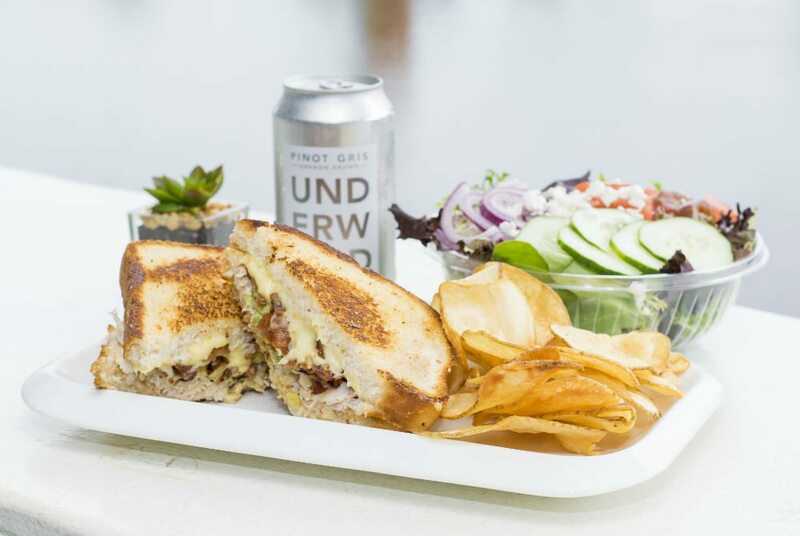 Local chef Jim Shirly plans to continue to serve the same delicious melt sandwiches he serves at the current location, but expand the menu. Baytowne Provisions will also feature a full rooftop bar with a view of the marina and a market with local goods and takeaway items. Shirley and his business partner Kelli Castille also plan to add a general store with everyday necessities and groceries. John Wehner’s Village Door, Baytowne’s premiere night life dance club, just added an exciting outdoor restaurant area with a comfortable bar and shade sails. Marlin Grill, one of the original signature restaurants, recently renewed its lease with plans to provide fine dining for years to come. Rum Runners added an outdoor patio over the lagoon, bringing its dueling piano feature to a broader audience. The retail stores are gearing up for a busy season, with custom jewelry and clothing designers bringing in their latest fashions. Baytowne Adventure Zone, along with Blast Arcade and Laser Maze, have become the anchors of family fun in the Village. 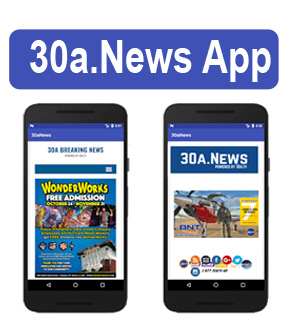 Both recently attended the International Association of Amusement Parks and Attractions convention, to bring the latest and greatest family fun to Baytowne. As a kickoff to the spring season, the Village expanded the events plaza stage to enhance concert experiences, added a 43-speaker surround sound system that can be heard throughout the Village, brightened up the playground with fresh ground cover and paint and added new seasonal decorations. For more info, visit Baytowne Wharf or follow them on Facebook.